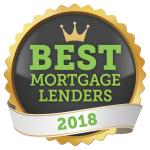 Ryan Larussa is the Team Lead at GMFS Mortgage (Sherwood) with over 18 years of mortgage industry experience. His proactive approach to work allows him to manage multiple clients with varying timelines, financial situations and needs. Ryan and his team work diligently to save his clients time and money, all while ensuring a smooth homebuying process from purchase to close. Although Ryan works predominately in the East Baton Rouge and Ascension Parish areas in Louisiana, he is also licensed in Alabama, Mississippi, Tennessee and Texas. Ryan holds a Bachelor’s Degree in Finance from Southeastern University Louisiana and is a volunteer for HP Serve and Trafficking Hope.